Payroll is an important part of your business, our dedicated payroll team will provide a service tailored to your needs, providing an accurate, timely and flexible service, whatever size your payroll. 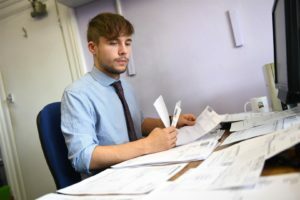 At Barter Durgan we can relieve you of the burden that can be associated with the complex issues of payroll, allowing you to spend your time on other important areas of your business. Contact us today to find out more about our payroll services.